Feb 18 (Reuters) – A Spanish warship tried to order commercial shipping to leave anchorages in British waters near Gibraltar but was challenged by the British navy and sailed away, Gibraltar said, the latest example of tension over the strategic port as Brexit approaches. The Spanish ship tried to order ships to leave their anchorages on the eastern side of the Rock, but the ships stayed in position, Gibraltar’s authorities said. After being challenged by the British navy, the Spanish warship then sailed slowly along the coast with its weapons uncovered and manned. Spanish authorities did not immediately comment on the issue. 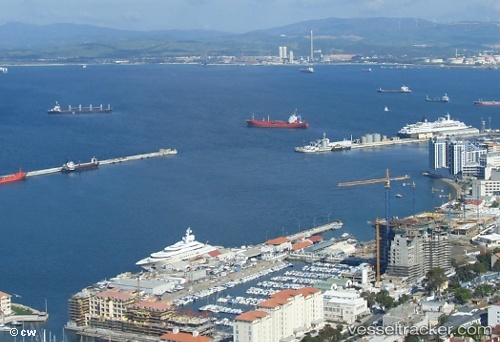 Environmentalists found high concentrations of pollutants in air samples taken at the weekend at the Mediterranean port of Gibraltar. The samples, which were taken next to cruise vessels moored in Campo de Gibraltar [an area between the port proper and the mainland], showed "high concentrations of ultrafine particles", according to international environmentalist groups Ecologistas en Acción from Spain and Nature and Biodiversity Union (NABU) from Germany. "Air pollution levels [were] up to 140 times higher than in areas with clean air" from samples taken on Friday, Saturday and Sunday when different cruise ships visited the port, a statement from NABU said. NABU policy officer Malte Siegert called for the Mediterranean Sea region to be designated a emission control area (ECA) as is already the case in the North and Baltic Seas.